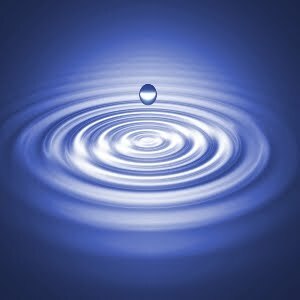 When you throw a stone into a still pond, the ripples that it creates brings some movement and life back into that place. Similarly an idle mind is kindled by some discussion or argument one has, which sets the thought process going…. this post is a realization because of my thoughts that was set into motion by my loving bro!! i happened to discuss with him about how you think that, a person is doing something for you but in the end you realise they were doing it for their personal benefits. How ‘selfish’ they had been and you have been ignorant of it all the while… you feel hurt when you come to know of it in the end. But he questioned me back saying, ” Who in this world is not selfish?? Everyone always does something because they are getting something out of it.” Initially i thought he was talking about it in the sense that, How we often say of the present world where people are driven by material gains and fail to give importance to human values and emotions. But he said that its not just got to do with such kind of people alone. But that’s how EVERYONE are !!! I was a little perplexed. i din’t quite understand what he meant by that. I couldn’t imagine how everyone could be selfish. Isn’t that supposed to be a not so good virtue, that we have been taught from our childhood, in our so called ‘moral science’ classes !! then how it could be possible that there is not one person in this world who does something for others. To add further to my confusion he said, there is no such word called “selflessness” !!! it is a farce.. just doesn’t exist…. This actually enraged me and and i hit him back strongly, this is definitely not true. Then there is no meaning for the works done by great people like Mahatma Gandhi and Mother Teresa. I was arguing that he was wrong. But he just calmly replied “think about it !! ” and left. This set an intellectual (!!??) search and the discovery of the truth in the end was really pleasant. I realised that behind every act of a man there is some personal motive that one wants to achieve. It is like in Maslow’s hierachy of needs – especially the higher order needs. ( C’mon people i am a management student !! 😛 )We seek personal satisfaction in everything we do and there is nothing wrong in it. Its the same with even Mother Teresa. I am not trying to undermine her greatness. She did serve countless poor and homeless people. But she did that because she derived personal satisfaction out of it. So there is definitely nothing wrong in doing something for yourself. But the difference lies in the aspect that, when one tries to achieve something at the cost of someone’s efforts or life. This is where it crosses limits and turns bad. So behind every act of a human, if you look deep inside, you can find the real motive that he is trying to satisfy. In the end the act doesn’t count but the thought matters !! !